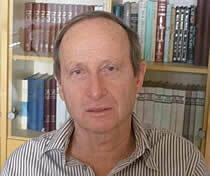 Yoram Weiss is a Professor of Economics at the Tel-Aviv University since 1980 and holds the Daniel and Grace Ross Chair in Labor Economics since 1993. He received his MA in Economics from The Hebrew University of Jerusalem in 1964 and his Ph.D. in Economics from Stanford University in 1968. He was an editor of the Journal of Labor Economics from 1993 to 2005. At present, he is a fellow of the Society of Labor Economics and IZA. Professor Weiss has published in economic journals such as American Economic Review, Journal of Political Economy, Economic Journal, Journal of Labor Economics, International Economic Review and the Review of Economic Studies. Yoram Weiss joined CReAM as an external fellow in March 2006.